When The Warning appeared on our radar more than 2 years ago, we knew these young girls were one thing special and that rock and roll was going to do nice, nice things in their lives. 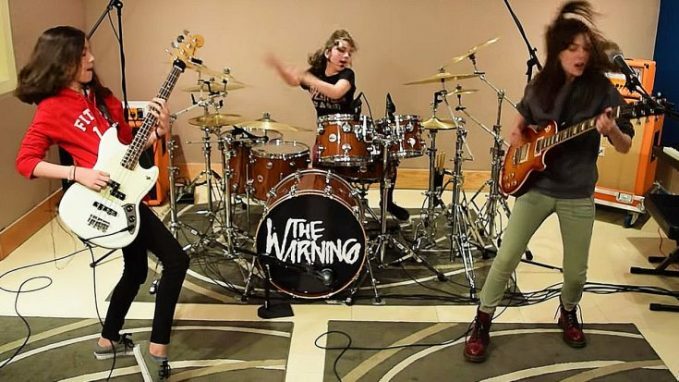 Sisters Daniela, Alejandra and Paulina first made waves with a cover of Metallica’s “Enter Sandman” that was so good it actually got the attention of guitarist Hammett who immediately took to social media to praise the ladies for their talent and passion. 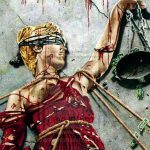 Now, more than 2 years later and with their debut album XXI Century Blood on the way, The Warning are back with their first cover video after more than a yr away recording and studying music and it’s solely fitting that they went right back to the place all of it started: a Metallica cover. Rocking “Atlas, Rise!” from Metallica’s newest album Hardwired…To Self Destruct, The Warning appear back of their home studio and inside the first few seconds it’s easy to see that these girls have actually grown into their craft since last we saw them, their musical identities well established as evidenced by how extremely snug they’re thrashing about behind their respective instruments. Don’t even get me began on their musicianship; from frontwoman Daniela’s chops as a guitarist and singer, to little Alejandra holding it down on bass and drummer Paulina completely killing it on drums and vocals, we expect it is safe to supply up one other prediction: you will be seeing loads of The Warning within the subsequent few months and years, and one thing tells me it’s going to be fairly damned good. 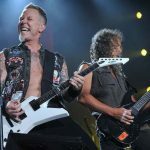 What If Old-School SLAYER Wrote And Play METALLICA's "Spit Out The Bone"?LARS Slams DONALD TRUMP's Border Wall: "We Need To Bring People Together"